My daughter and I are each reading a book. 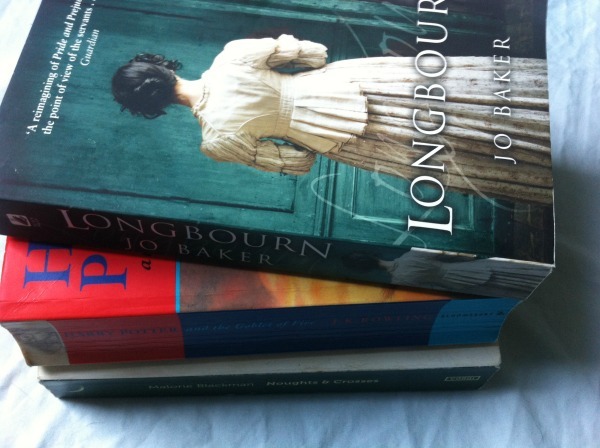 Actually, it’s the same book – Longbourn by Jo Baker. This is the story of Pride and Prejudice from the servants’ perspective, and it was this month’s choice from my book group. As soon as it arrived, my teenage daugher pinched it and started reading it. She says it’s very good. I can’t complain, as I did encourage her to read The Book Thief so it’s my own fault really. When our children are very little, reading to them is about one of the best things you can do. But often that gets abandoned once they learn to read for themselves. I am a firm believer that with teens and pre-teens, if you want to really engage with their world, then you have to go where they live. Not as in creepily stalking them or attempting to recapture your own lost youth, but just appreciating that the things they choose might be enjoyable for you too. Take an interest in some of the culture they like. Play video games with them, read the books they like. When you love a book, it’s a special thing to pass it on to someone else. 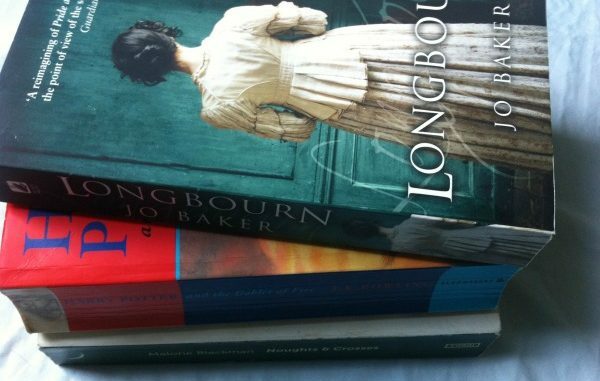 Today my daughter is away on a school trip in the wilds of somewhere or other, and I am at home reading Longbourn. When she gets back I will give it to her, and it will eventually go, with a few more of my former reads, to live on this overstuffed bookshelf. Here are some more of the books we have enjoyed in our mini book group of parent and child. Maybe you and your child would enjoy them too? This is the story of a self-centred rabbit who learns to love. It was the very first book my daughter insisted I read because she liked it so much and wanted to share it. Surprisingly sad for a children’s book, but ultimately uplifting. Yes, all of them. Come on, it’s only seven. You want to have something in common with your child don’t you? Well it’s this or play Mario Kart. Start at the start and keep going until you’ve graduated from Hogwarts. For the family that weeps together. Possibly a bit over-emotional for some, but then that’s what the teens like about it. For a book that’s narrated by Death, this is less miserable than you might expect, though it does have its moments. It’s a superb book. Be warned: your child might take this as a green light to steal all your books. All of these are suitable from about age 12 onwards, apart from Edward Tulane which is suitable from about age 8. 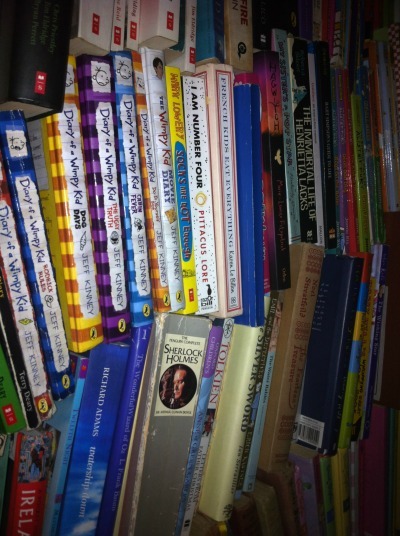 Do you ever read the same books as your child? What books would you recommend that can be shared across the generations?